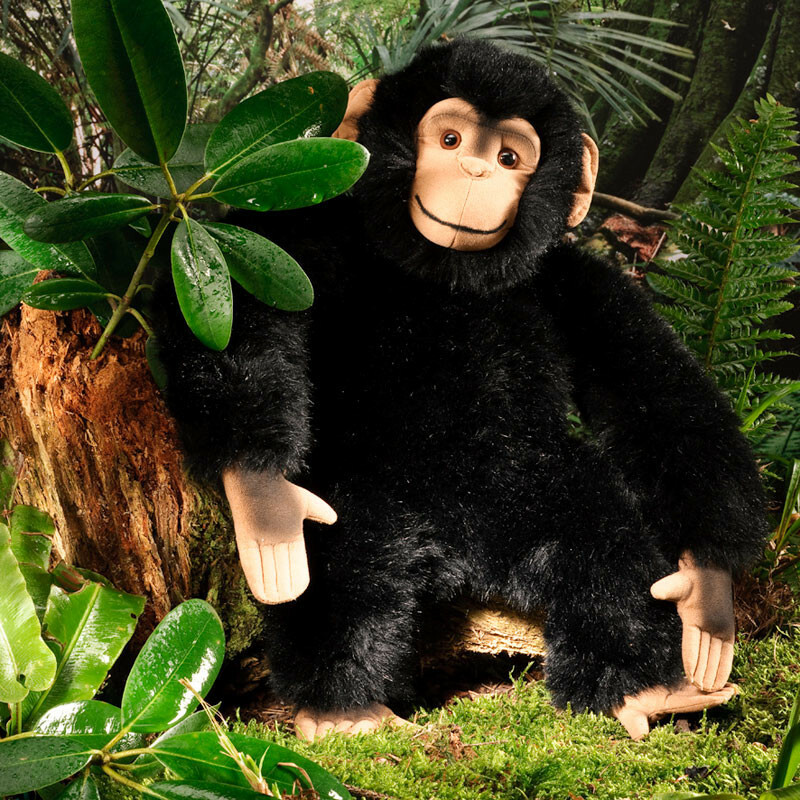 Especially soft and tactile, this chimpanzee is made of soft black plush with ultrasuede hands and feet, face and ears. He has brown and black eyes and extensive airbrushing to give him his character features. Partly filled with granules, this chimp is crying out for cuddles! Surface washable.